Tecno android devices are probably the most common MTK android device in Nigeria and as such, it is likely the one common with software problems and different issues. Recently on ArykTECH, we have discussed how to flash MTK Android devices in general. But, in this tutorial, we will specifically be discussing how to flash Tecno MTK android devices. Flashing is the process of reverting your Tecno android device to its factory defaults by means of flashing STOCK Tecno firmware on it. Or, by means of flashing Custom ROM/Firmware on it. Flashing is done to correct any software malfunctions experienced on any Tecno android devices. Even those that seem persistence after performing a Factory-Reset would be corrected by flashing the Tecno android device. In this section of this tutorial, I discuss how to flash Tecno android devices using the Stock Firmware and, I assume that you have no knowledge of Tecno android devices hence; I take this tutorial from scratch to finish. OS VERSION: this refers to the version of the firmware for which you have and that that you are going to use to flash the Tecno android device. MODEL VARIANTS: usually, there are different variant(s) of some Tecno android devices as in the case of Tecno f7, P5 and P5+(PLUS) etc..
HOW CAN YOU KNOW THE DIFFERENT VARIANTS OF Tecno ANDROID DEVICE?For some Tecno android device, it's simple. By simply checking the label behind the battery seat on the phone or by navigating to Settings >> About >> option on the phone. You can see detailed information about the phone right there. However, for some Tecno android devices especially; Tecno F7, you may not know the difference until you extract the boot.img of the 2 phones and compare them. This is one of the reasons why it is always safer to EXCLUDE the PRELOADER from the FILES-TO-FLASH when flashing with SP Flash. FIRMWARE: Tecno firmware contains all the files, programs including images, GUI and the entire files necessary to run android OS on your Tecno device. The firmware is being used to flash Tecno android devices. In android, firmware are also being referred to as ROM and they are of two classes. 1. STOCK FIRMWARE: this is the firmware made by Tecno for each and every Tecno android device. The firmware could be extracted or downloaded. 2. CUSTOM FIRMWARE: this is usually referred to as ROM. This is a custom firmware modified by an individual or a group of people. Flashing can upgrade or downgrade your Tecno android device. It all depends on the versions of the firmware you used while flashing the phone. If you want to flash a Tecno android device whose OS is Android 4.4.2 Kitkat and you use an android 5.1 Lollipop firmware/ROM to flash the phone, the phone would be upgraded to 5.1 Lollipop. The reverse is the case when you flash with a lower version of the same firmware. WHERE CAN YOU DOWNLOAD Tecno FIRMWARE? Up to this moment, when this article is being compiled, there is no set repository where you can download all Tecno STOCK firmware. Some individuals only try to upload the firmware as per when they are gotten. However, you may request for Tecno STOCK Firmware and Flash Files download link from ArykTECH here. 1. Download the specific firmware for the Tecno phone by requesting for the download link from the link above. Skip this step 1 if you already have the firmware for the phone. 2. Download SP Flash Tool from here and then, download USB VCOM for MTK Android Drivers from here. 3. Open the SP Flash Tool you downloaded from the link above. It is compressed in a zip file, simply extract it onto a folder on your PC, open the folder to locate the SP Flash Tool application and then; double-click it to lunch the program. NOTE: Remember to install the USB VCOM for MTK Android Drivers following the normal Windows Drivers installation procedures. 4. Click Scatter File. From there, select Scatter File from within the Stock ROM you have downloaded or prepared to flash on the Tecno phone. NOTE: Scatter File, in MTK Android Stock ROM, is a text file that contains the arrangements and MD5 SUM of the partitions contained in MTK android Stock ROM files. 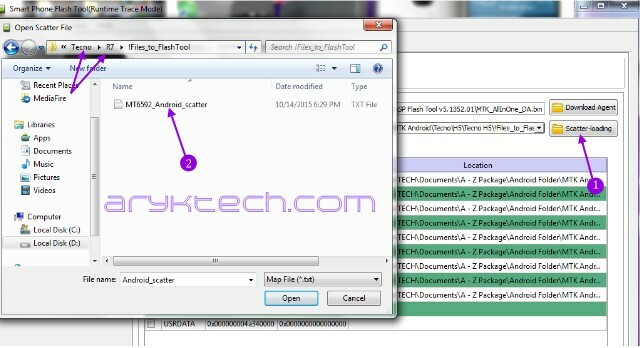 The Scatter File helps MTK Android flash tools identify the arrangements of the flash files. NOTE: DO NOT select PRELOADER as part of the partitions to be flashed. Never!. Also, DO NOT select others in the RED Ring. 7. Connect the phone to the PC using its compatible USB Cable. To connect the phone to the PC, remove the battery from the phone, plug the USB-end of the cord to the PC and then, the other end to the phone. Now, insert the battery in the phone and then, tap the Power Button once. 1- Wait few seconds for SP Flash Tool to detect the phone and commence the flashing operation. 2- While the flashing operation is in progress, at NO point should you stop, abort or disconnect the phone until the operation is completed. Doing so may damage the phone. 3- When the flashing operation is complete, you will see a "Round-Green Circle" on SP Flash Tool. When this happens, simply disconnect the phone from the PC, remove the battery and then, re-insert the battery. You can then Power-On the phone and enjoy! What if you have a particular Tecno android device you need to flash and you could not download it flash files nor do you have it. What would you do? 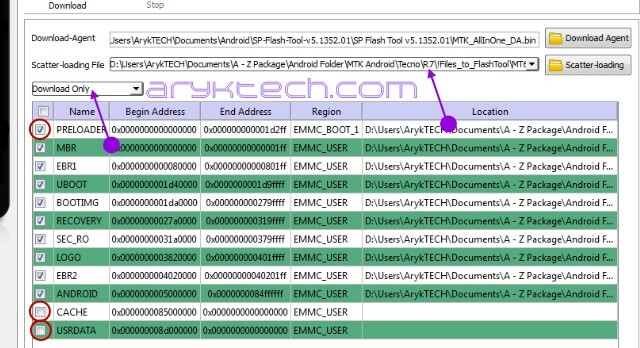 If you have an exact variant of that Tecno android device at hand or that you have someone who has it around you, you can simply extract the flash files from that phone and compile it for MTK android flash tools. In this section of this tutorial, I discuss how to make or extract flash files from a fully working MTK android device. The extracted file can be used to flashing any other MTK android device of the same kind and variant. 1. Root the phone and install Busybox on it. 2. Flash Custom ClockWorkMOD recovery on the Tecno android device to enjoy an uninterrupted operation. See the SECTION 3 below for detailed info on how to flash Custom ClockWorkMOD recovery on your Tecno android device. 3. Download MTK Droid Tools from here, decompress/unzip the file on your PC Desktop. Download PDANet+ from here and install it on your PC. 4. Open MTK Droid Tools folder and Lunch it by double-clicking the MTK Droid Tools application in the folder. 6. Reboot the phone to recovery. Click "Reboot" on MTKDroid Tools and then, choose "Reboot Recovery" from the option that displays. Wait patiently until the phone reboots to recovery and MTK Droid Tools detects the phone. 7. Select "Root, Backup, Recovery" tab and then, click "Backup"
Almost immediately, the backup process will begin. Wait until the process completes and disconnect the phone from the PC. 1- When the process is about to complete, MTK Droid Tools will display a message prompt that says "Pack Backup...? ", simply click "NO"
2- When the process finally completes, click "To Prepare Blocks for Flash Tool". Select the "files.md5" from the folder where the backup files you just made are saved and wait patiently until the operation completes. Now, you have successfully extracted/prepared flash files from the Tecno android device and can be used to flash any Tecno android device of the same variant. CWM Recovery is one of the commonest custom recovery for android devices and probably, the most commonly available custom recovery for android devices especially; MTK android devices among which Tecno belongs. 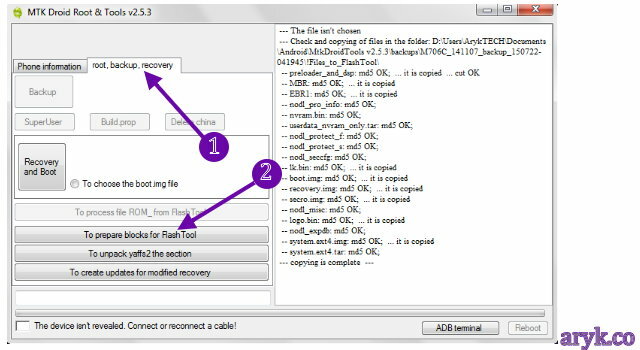 In this section of this tutorial, I discuss how to make CWM recovery for Tecno android devices and flash it on the phone using MTK Droid tools. 2. Download MTK Droid Tools from the link given above if you have not downloaded it yet otherwise, skip this step. Decompress/unzip the file on your PC Desktop. Download PDANet+ from the previous link also and install it on your PC. 3. 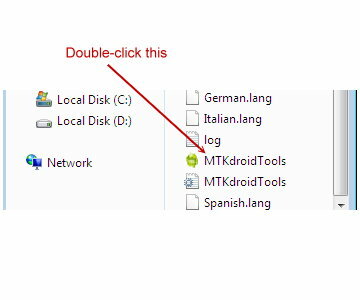 Open MTK Droid Tools folder and Lunch it by double-clicking the MTK Droid Tools application in the folder. 4. Now, connect your phone to the PC using its compatible USB Cable. Wait few seconds for MTK Droid Tools to detect the phone and then, click "Root" and follow the on-screen instruction until MTK Droid Tools shows Green-like ink. NOTE: This is only necessary if you have not connected the phone to MTK Droid Tools in root access before otherwise, MTK Droid Tools automatically sees the phone with root access. 5. Select "Root, Backup, Recovery" tab. From there, click "To use boot from phone" and then, "Recovery and Boot". NOTE: Click "YES" to the prompts "To Make CWM Recovery Automatically?" and "Install Created Recovery to Phone?" 1- When the flashing operation has been completed successfully, you may boot the phone to CWM Recovery straight away using the MTK Droid Tools or by using the recovery (buttons) combinations. 2- Note that CWM Recovery replaces your Tecno Stock Recovery and, in most cases, changes your Recovery Boot combination to Power + Volume up buttons by deffault. Hello, i wanted to format my tecno R7 , i downloaded the rom software already and the MKT driver and my pc is 64 bit so its telling me i need run the 64 bit of DPinst.exe on my pc that i should contact the vendor. how can i go about it? Download 64bit version of the program or run it in compatibility mode. can you with a Tecno l6, after flashing the ROM the phone is stucked in Tecno logo. I've tried all I could. 1. Confirm that you have flashed the phone using the right firmware variant. 3. 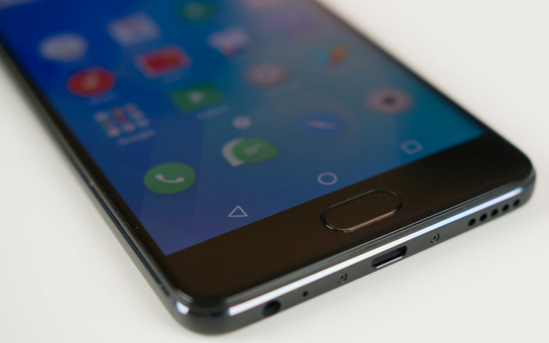 Boot the phone to recovery after flashing and then, factory reset it from there. See the solution from the response just above this comment. Hi sir , I have got troubles with my tecno Y6 and I need help. I call on your help. Yes. You can flash it on it so long as they are of the same variant. Help with Techno boom j5 OS BACKUP. I can not get access to the phone with my computer & even with Sp flash tool is not working. But i have rooted the phone. Root access on the phone alone cannot flash an OS Backup on the phone. You must custom recovery such as TWRP, CWM, Philz or any other custom recovery installed on the phone. Have you flashed any of them on your Tecno Boom J5? Help with Techno boom j5 OS BACKUP. I cannot get access to the phone with my computer & even with Sp flash tool is not working. Refer to the response to your comment just above here. And for a note, have you followed the step by step guides guide given above? Have you installed the necessary drivers and the likes? What is the response / error message SP Flash throw back? If you are sure you have downloaded the exact ROM, use the FORMAT Tab on SP Flash Tool to first format everything except the preloader, then, flash the phone again. ***STILL, DO NOT mark/tick/Select the preloader while flashing. excuse me ,i followed all the steps and i had no problem in flashing operation and showed the green pass circle,then i disconnected my phone....my problem is that after opening the phone again it opens with a black screen, showing nothing only sound of start up and continue as black screen i have to remove battery to switch it off..what should i do? The problem is with the stock ROM/Flash file you used to flash the phone. 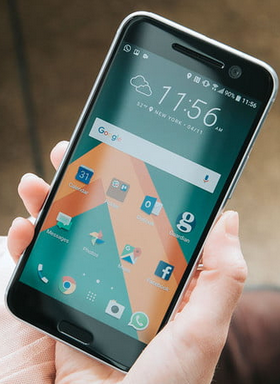 Download another stock ROM from another source and flash it again. You may download your Tecno Phantom Z Mini stock ROM firmware from here.